A UFO Abduction w/ Ronson! 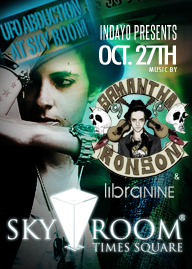 Celebrate your Halloween w/ Samantha Ronson! 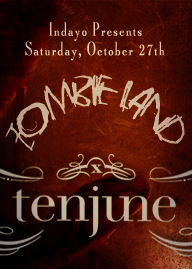 Rated #1 Halloween Event in NYC! Come get creepy with us! Come experience Meatpacking's hottest venue! Bash — Don’t Miss Out!!! Paul Oakenfold’s House of Horror!!! Do not miss this epic event! Come get locked down in the Cellar! Partying with the girls of Maxim all night long! Bite & Fly Saturday at Kiss & Fly! Find your open shelf flavor of exotic vampires here! 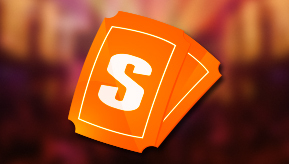 Stubster is your complete ticketing solution for all of your holiday nightlife events. With a focus on great design and unique branding campaigns for each event, Stubster differentiates itself by putting on a unique visual showcase for all your events in efforts to set your event apart from the crowd while maintaining an easy to understand and delightful user experience throughout your client’s ticket purchasing adventures. Allow us the opportunity to service your special events, for many years to come!